China has sentenced a revered Tibetan living Buddha to eight-and-a-half years in jail on charges of illegally occupying government land and possession of weapons. 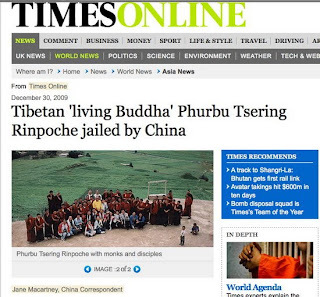 The court in the western town of Kangding handed down the conviction more than eight months after Phurbu Tsering Rinpoche’s trial. It marked the first time a Tibetan arrested following last year’s riots had been allowed to select his own defence lawyers. He had faced a maximum of 15 years in prison on the two charges and it is possible that the presence of his lawyers persuaded the judges from imposing an even longer term. The judges may also have been wary of handing down a lengthier sentence for fear of renewed outbreaks of anti-Chinese unrest among supporters in the mainly ethnically Tibetan region that is his home. He commands thousands of disciples in Tibet as well as in other areas of China. 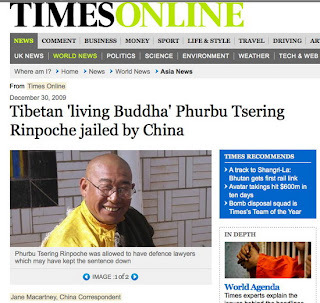 The court sentenced him to seven years in prison on the charge of illegally occupying government land and to an additional year for possession of bullets, Tibetan sources told The Times. However, his lawyers could not be present for the sentencing since both men – prominent for their willingness to handle sensitive human rights cases — were disbarred earlier this year. Phurbu Rinpoche, a tulku or reincarnation, had been enabled by his ability to speak Chinese to find legal help. The monk was arrested on March 28 last year, four days after nuns from two religious houses over which he presides took to the streets in demonstrations shortly after deadly rioting erupted in the Tibetan capital, Lhasa. A police search of the home of the living Buddha, who presides over several religious houses and runs an old people’s home, turned up an imitation pistol and 100 rounds of ammunition that police said could cause severe injury or even be fatal. Local officials, unaware that his lawyers had a background in human rights, had told them when they arrived that the leaders had decided that the living Buddha must be jailed as an example to prevent other reincarnations from using their influence to stir up anti-Chinese unrest. At the time of his trial, the court had made no attempt to investigate the weapons charges, his lawyer said. 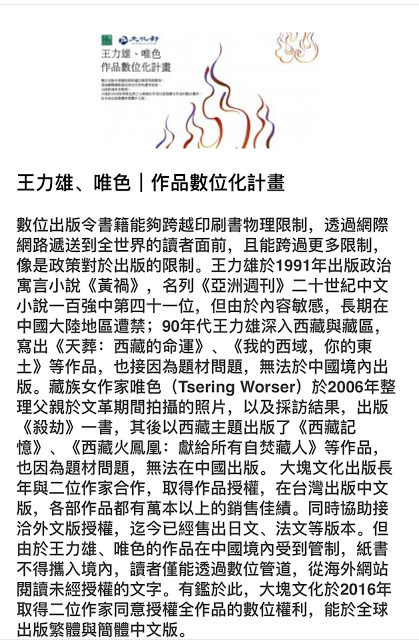 As for the illegal occupation of public land, his lawyer argued that the monk had spent 70,000 yuan (£7,000) of his money to buy the plot on which he built the old people’s home. Phurbu Rinpoche is the fifth incarnation of a revered Buddhist teacher, known by the title of Burongma. He was identified as a reincarnation when he was seven months old. 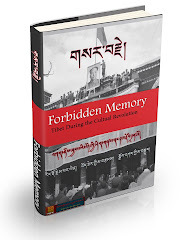 Now 53, he did not formally become a monk until after the chaotic ultra-leftist Cultural Revolution from 1966 to 1976 when all Tibetan monasteries were closed. By the time he took religious orders he was already married with two sons.